The start of a good night in always begins with good food. Think sharing food like cheesy nachos or pizza. 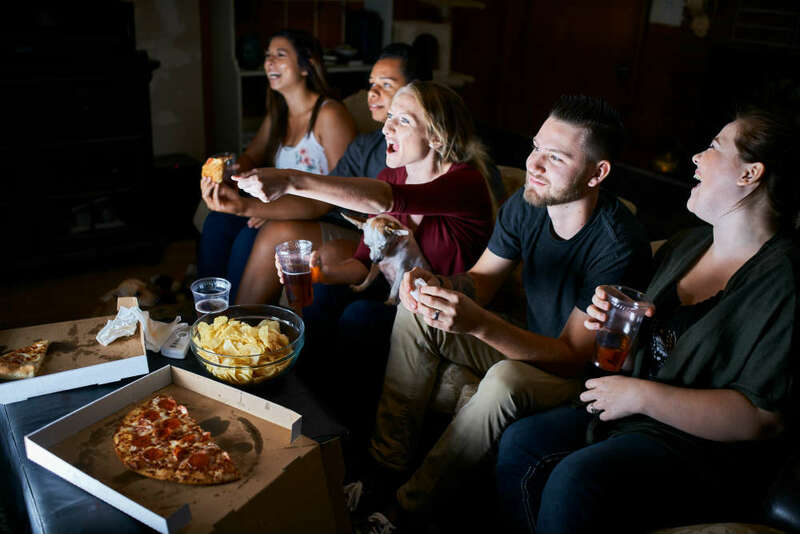 Everyone can grab what they want, it’s informal, and perfect for when you’re watching a movie, playing video games or just having a natter. Either buy a bag of sweet and salty popcorn or get creative and make your own. Get some popcorn kernels, stick them in a pan with a lump of butter, and pop away until you’ve got enough to feed your house mates. You can then add in what you want to create a taste sensation. The rocky road variety – marshmallows with chocolate and pecans, or cookies and cream – condensed milk with crushed Oreos, are our favourites for a sweet treat. The key to choosing a good movie and the perfect night in with your house mates is that everyone agrees on the film. Have a selection to choose from and then watch the most popular. Netflix have such a huge variety now that you’re bound to find something you all want to watch. For a bit of friendly competitive fun, get out the Nintendo Wii or whatever games console you have an evening of gaming with your house mates. You’re playing for your pride as well as victory here so choose the game wisely, you want to have a good night in with your house mates but do you want to lose? No, we didn’t think so either! 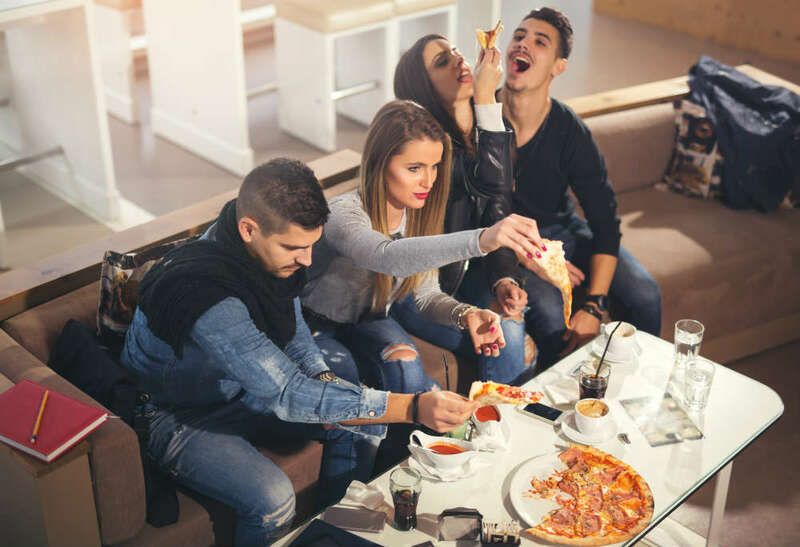 These are our top tips for the perfect night in with your house mates in your student accommodation. What other ideas do you have? Sometimes these are the nights that are the most memorable.